"the occurrence and development of events by chance in a happy or beneficial way." Happy Tuesday, friends! 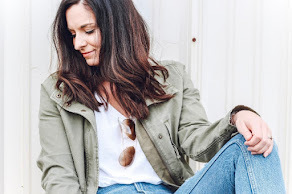 Today, I am styling Sarahndipity Jewelry for y'all! I love how she combined her name with the word serendipity! It was by a happy chance that we connected and I'm excited to share Sarah's handmade creations with you all. Sarah sent me the round initial charm bracelet and the black sparkle tassel bracelet. I think they make they perfect set! 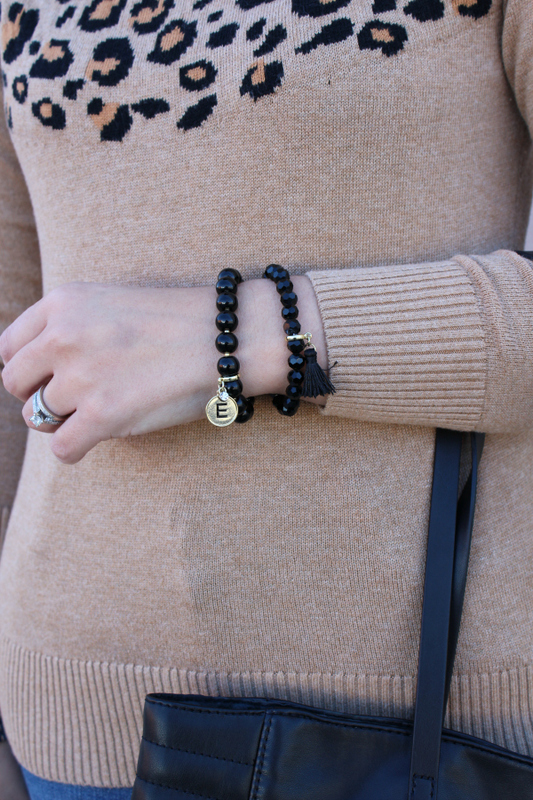 I wear black and gold in pretty much every outfit so I know these bracelets will be on repeat for me. Besides being beautiful, I greatly appreciate that Sarahdipity Jewelry is handmade! I love supporting small businesses because you are truly helping someone's dreams come true when you shop from them! I would much rather purchase a bracelets that was made uniquely by hand than mass produced any day. Sarah also has something for everyone in her Etsy shop with other 75 items to choose from, including adorable bridal sets that would make the perfect gift for a bride to be. 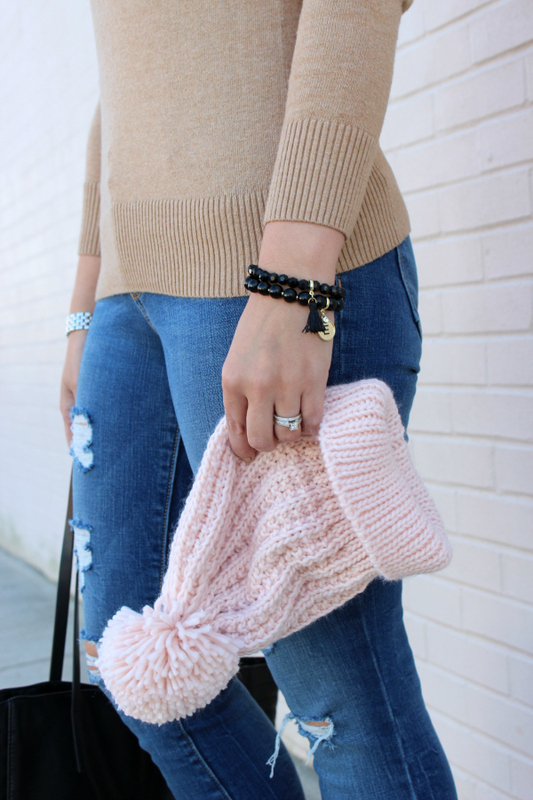 I styled my bracelet set with my comfiest jeans and shoes, my go-to black tote, and a blush beanie! I think they added the perfect finishing touch to this easy weekend outfit. 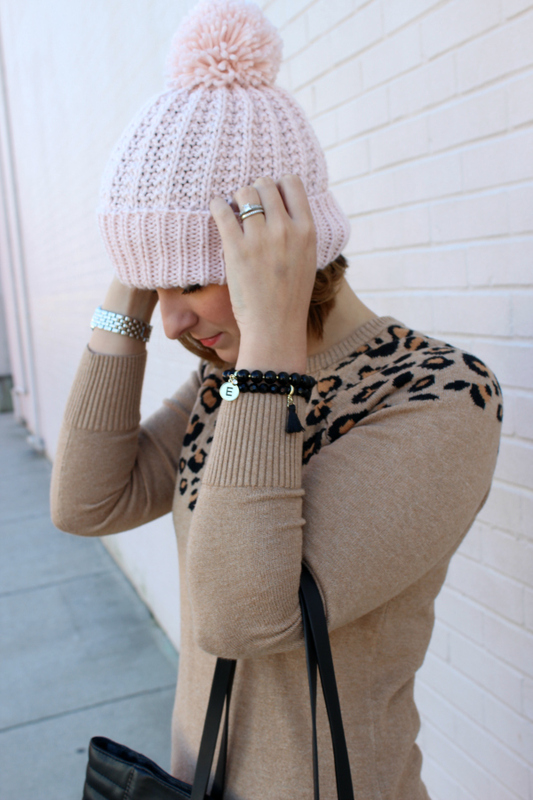 My bracelets could be worn for a dressy look with a little black dress!